With the state’s primary rapidly approaching, Los Angeles County and other California jurisdictions find themselves in a race against Election Day in their efforts to find enough pollworkers for the June 5 vote. While candidates and community activists may be trying to get out the vote, Los Angeles County elections officials are more worried about getting out the volunteers. With less than two weeks before the June primary, dozens of communities countywide are still short on poll workers even as elections officials reach out to residents to fill the gap. On Wednesday the registrar’s office released a list of communities that still need volunteers, which incidentally included a number of cities and neighborhoods that normally experience high voter turnout rates. This problem isn’t unique; pollworker recruitment and retention is a continuing challenge for election officials (especially as language and legal requirements make the job more demanding), and jurisdictions are turning to different approaches to staffing the polls – like Virginia’s decision to stop paying pollworkers in an effort to encourage more volunteers wary of the paperwork and tax consequences of their one day’s pay. 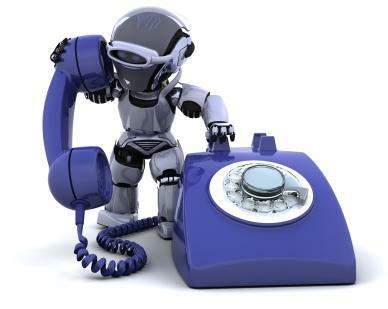 Los Angeles, however, turned to a technology that is widely used (if if universally loathed) elsewhere: robocalls. This choice was surprising, but the response was even more so: more than 500 voters had responded to the calls as of last Friday. I’ll be curious to see how many of those responses turn into actual pollworkers – and if such last-minute recruitment creates additional hassles for the County – but I tip my election geek cap to Los Angeles County for being willing to try anything to make sure that polls are staffed on Election Day. Previous: Could Influx of New State Legislators Mean Spike in Election Legislation in 2013? Be the first to comment on "Desperate Times, Innovative Measures: LA’s Pollworker-Recruitment Robocalls"